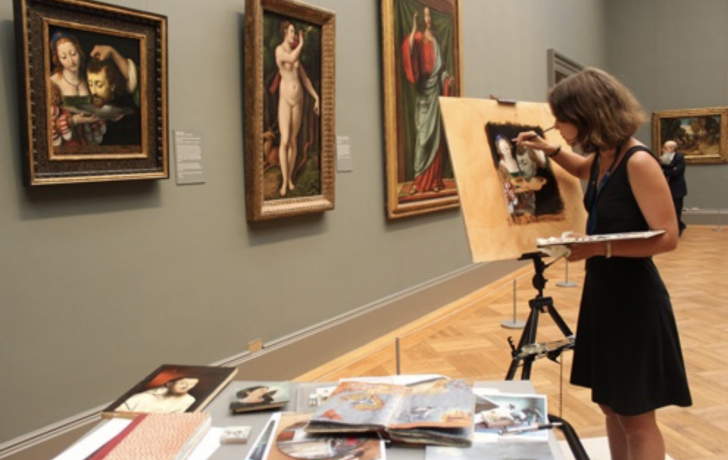 A New York Academy of Art student copies paintings at the Met. Registration for New York Academy of Art's fall continuing education program is now open. The Academy, home to the study of representational and figurative art, offers over 30 classes and workshops for beginner to advanced students over the age of 18. Classes take place on weekdays, evenings and weekends. Classes also take place outside of Tribeca. Students go to the Prospect Park Zoo to paint animals, and to the Met to copy paintings and sculptures. A complete list of classes, which start Sept. 15, is here.